With spring bringing its usual array of unpredictable weather to Australia, including some significant storm and hail systems, it’s a timely warning to householders to check their Brisbane outdoor structures to ensure they can cope with all that mother nature can throw our way. A common issue for outdoor structures with non-tile roofs, is a loose edge on one or more roofing sheets. These loose edges can create annoying noise in windy conditions but, more importantly, can lead to a roofing sheet being blown off and becoming a serious hazard for neighbours. Check all structural timber for wear of rot. Check any structural steel for rust. Check decks for any loose boards and, if you can, stick your head under the deck to give the structure a good examination. Check any structural concrete for cracking or flaking, which may indicate water penetration and corrosion in steel reinforcing. Give balconies a thorough inspection, including all handrails. A collapsing balcony or handrail can be a recipe for disaster. 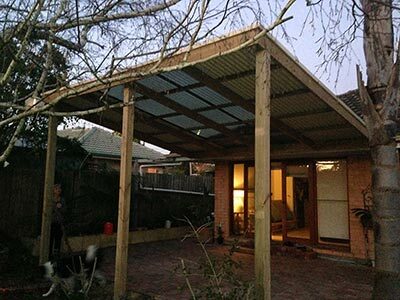 Just as importantly, if you are thinking of building a new Brisbane outdoor structure, make sure you get it done by someone you can trust to build a structure that will give you years of hassle-free use. Outside Concepts gives you peace of mind for all work, including our guarantee of only using quality materials and workmanship, and our 10-year structural guarantee. So, if we build an outdoor structure, you can be assured that it will be structurally sound for at least 10 years. If something does go wrong we will fix it, free of charge. Find out about Outside Concepts’ 10-year structural guarantee. Call us on 1800 601 674.